Regardless of what type of structure they’re placed over, roofs serve the incredibly important purpose of keeping all of the outside elements from entering a home or business. Roofs are generally durable and long-lasting, but that’s not to say that they won’t require their fair share of maintenance and replacement over time. After all, things like snow, rain, leaves, and debris are bound to take their toll on a roof over time, making occasional repair – and eventual replacement – a necessity down the line. 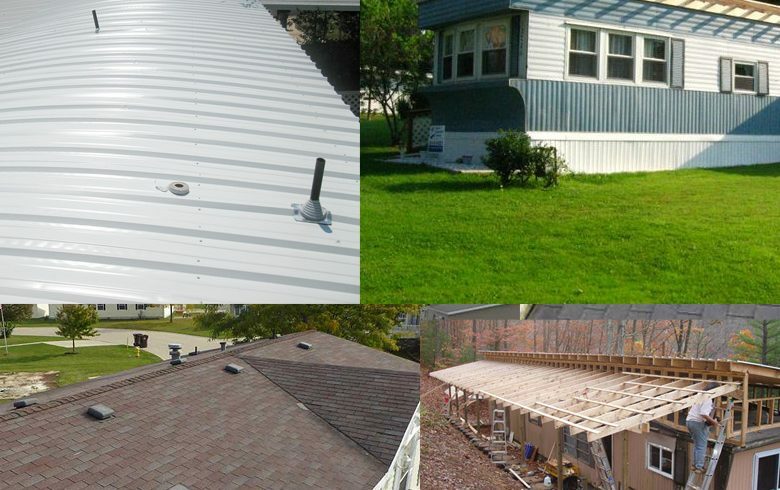 This post will take a closer look at some of the more popular roofing materials for mobile homes when to repair versus replace and more. When it comes to mobile home roofing, there are several mobile home roofing options that have emerged as viable options. Asphalt Shingles – You may be surprised to learn that while asphalt shingles are arguably the most popular type of roofing material for single-family homes, they’re often not the best option for mobile homes. That’s because, in order to help form a quality roof, some two or three layers of shingles need to be laid. This can create a lot of excess weight, which isn’t typically a problem for a traditional home with a basement or slab foundation. However, when it comes to mobile homes, the extra weight can be very damaging. Hence, it’s recommended that mobile homes with asphalt shingle roofs only consist of one layer of shingles. This, in turn, can become problematic as asphalt shingle mobile home roofs are more prone to leaking. The good news about asphalt shingles is that they’re among the most affordable of all roofing options and come in a wide range of colors and styles. A great video here on how the replacement process looks. 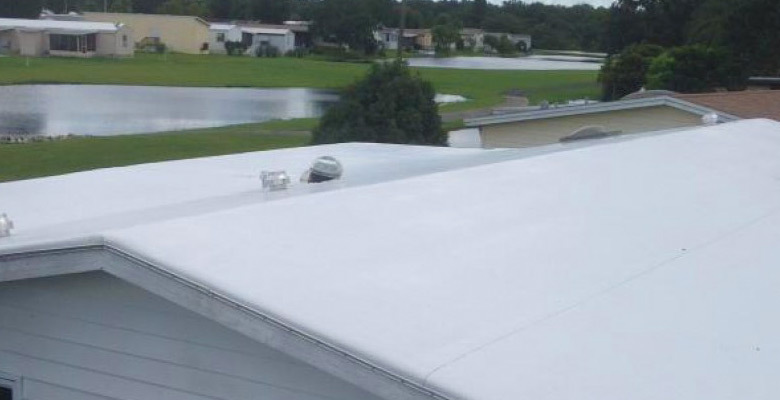 Rubber Roofing – Mobile home rubber roofing, also known as “TPO roofing,” this consists of installing a thin, flexible rubber sheet across the existing roof’s surface. 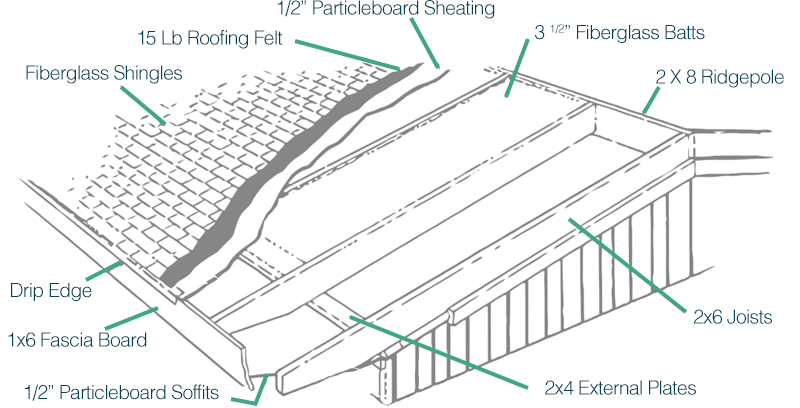 This rubber sheet works to insulate the roof and protect the mobile home from the elements. The big benefits when it comes to this style are its speed of installation and its affordability. In fact, usually, this type of roof costs less than $3,000 for a single-wide mobile home and can be installed in less than a day. TOP roofing is also durable and typically white in color, which helps reflect the sun’s rays and reduce heat absorption. There are a few notable drawbacks to rubber roofing, however, namely when it comes to manufacturer quality. Not all TPO roofing is quality made, so be sure to do your homework on the manufacturer before purchasing the material if you go this route. Additionally, TPO roofing isn’t very long-lasting, with a shelf life of anywhere from 10 to 20 years. 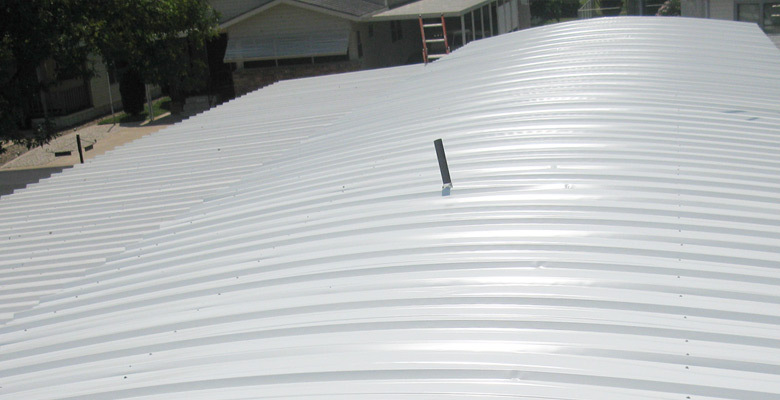 Metal Roofing – Metal mobile home roofing is lightweight, affordable and durable. Metal roofs can be installed right over existing mobile home roofs and, though the cost is a bit higher, can also include insulation to further protect the roof and keep the mobile home comfortable. In terms of durability, metal roofs are typically mold and mildew resistant, fire resistant and rust resistant. Many, if cared for properly, should be able to last about as long as the mobile home itself once installed. Despite all of the benefits of metal roofing, there are some disadvantages. We’ve already covered how metal roofing with insulation can drive up costs. Other things to know about metal roofing are that it’s often loud in times of heavy rain, with sounds possibly echoing throughout the home, and it can dent. Additionally, metal often expands and contracts depending on the weather, so it must often be properly fastened. When it comes to roofing maintenance and repair, mobile home owners generally have two options: either selectively seal and replace certain parts of the roof or have the roof replaced in totality. Like we said in the opening, over time, Mother Nature takes its toll on your roof, so regular maintenance is a must. Things like roof blistering, missing shingles, issues around vents, peeling and leaks are common over time, so it’s imperative to nip said issues in the bud before they have a chance to become much larger, more expensive issues. For some of these minor issues that we’ve listed above, selective sealing and/or replacement may be the best course of action to take, especially if your roof is fairly new. The sealant can help minimize the likelihood of standing water and help protect the surface of the roof, just make sure that you select the right type of sealant for the roofing material on your mobile home. In some cases, replacement of shingles or materials may be necessary to resolve an issue. This usually just consists of replacing part of the roof and is significantly cheaper than purchasing a new roof. The other option when it comes to roofing replacement is a total replacement of the mobile home roof. As we noted in the opening, all roofs have a shelf life, so if you continue to have issues with your roof year after year and it’s nearing the end of its projected shelf life, often the best route to take is to have a new one installed. Though it can be expensive, a new mobile home roof will be far less than recurring repair costs and potential mobile home damage from the existing roof’s issues over time. There is one other roofing option to consider when a replacement is necessary, specifically if your mobile home has a flat roof. Flat roofs are often problematic because rainwater doesn’t run off of them nearly as easily as those with a sloped roof. Standing rainwater can often lead to leaks, frequent coating and sealant application, and more maintenance in general. That’s where a mobile home “roof over” may be worth considering. A mobile home roof over essentially consists of turning a flat-roofed mobile home into one with a sloped roof, so that water is able to better exit it. Roof overs are performed by constructing the peaked roof and then outfitting the new roof with either of the materials that we’ve noted above. Some more roof over examples can be found here. A great breakdown of the work involved at Rustic Gems. 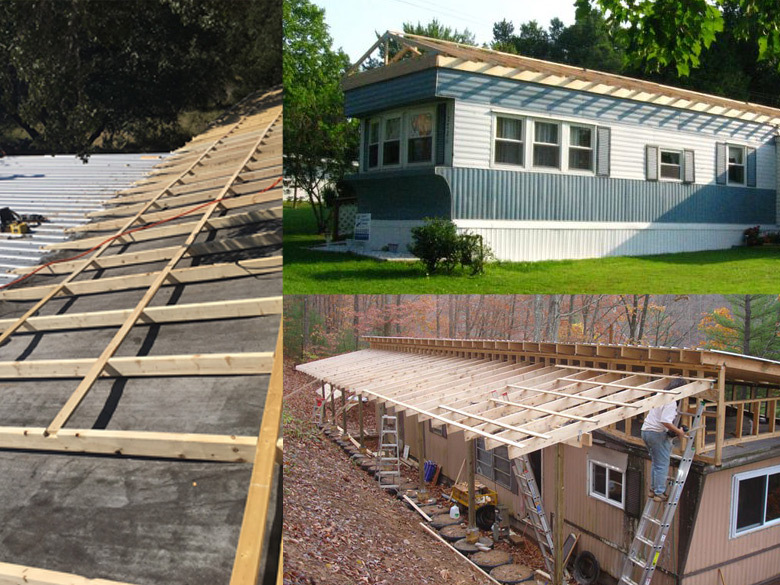 Mobile home roof replacement costs depend on a variety of factors. For starters, there’s the size of your mobile home. As you may imagine, single-wide homes are going to cost less than double-wide homes simply because there’s less roof to cover. Another factor impacting mobile home roofing costs is material. For example, if you select a metal roof with insulation, you could be paying up to $7,000 for it to be installed on a double-wide. 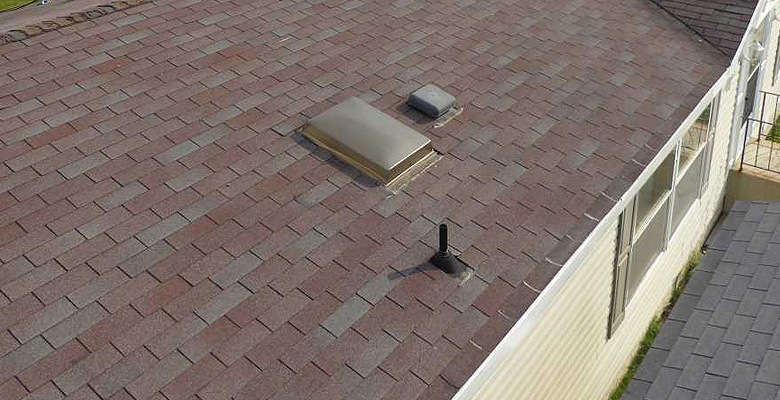 TPO roofing and asphalt roofing, by comparison, are typically less costly. That brings us to an additional consideration when it comes to roof replacement: Can it be done by yourself or is it best to hire a contractor? If you’re weary of your DIY skills, don’t have the time to perform the work or just want to make sure that it’s done right, then going with a contractor is probably the best route to take. However, if you’re fairly handy and have a general idea of what to do, many mobile home retailers sell roofing kit roofing systems for DIY’ers. When it comes to doing it yourself versus paying someone to do it for you, the big advantage is saving on installation costs. Labor to install the roofing material is generally 2.5 to 3.5 times the cost of material. So, if you have the skills (or know a friend who does) to install your roof yourself, you can really save money on mobile home roofing replacement. Know the warranty: For any roofing products that you purchase, be sure that you are aware of any warranty that comes with it. Good warranties or guarantees can help offer peace of mind. Do your homework: You should be well aware of the pros and cons of any roofing material you’re considering. You should also be familiar with the manufacturer of said material so you can have the peace of mind that you’re acquiring a quality product that’s meant to last. Don’t bite off more than you can chew: If you’re planning to perform any roof repair or replacement yourself, be sure you have a thorough understanding of how to do it. Consult with your mobile home service store to better understand the best practices and steps to take. This ensures that you’re performing the work correctly and not subjecting your mobile home to possible property damage from a poorly installed or repaired roof.